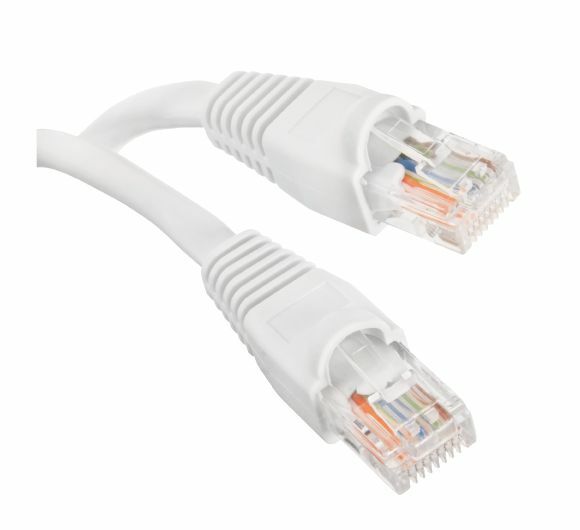 Digiwave EM746075 CAT5 350Mhz Network Cable is uses for connecting a PC, Mac or network device to 10/100/1000 Ethernet networks. Gold-plated copper contacts on the RJ45 male to male connectors provide excellent conductivity for accurate high-speed transmissions. Constructed with high quality material to protect the RJ45 plug of the cable from damage during installation. Electronic Master CAT5211000G 1000-feet UTP CAT5e Network Cable is professional-quality cable with 24 gauge copper clad aluminum conductor, polyolefin insulation and 4 unshield-twisted-pairs(UTP). This can maxima the cable length you can run and guaranteed better signal quality with low impedance cable. 50 ft. CAT5E UTP Patch Cord CE Tech CAT5E UTP Patch Cable reliable signal strength Connect various use for Internet access, wireless printing, routers or hubs.